Being based in the quaint seaside village of Camden in mid-coast Maine, Etienne has always understood the importance of focusing his marketing attention to specific hot spots around the country. 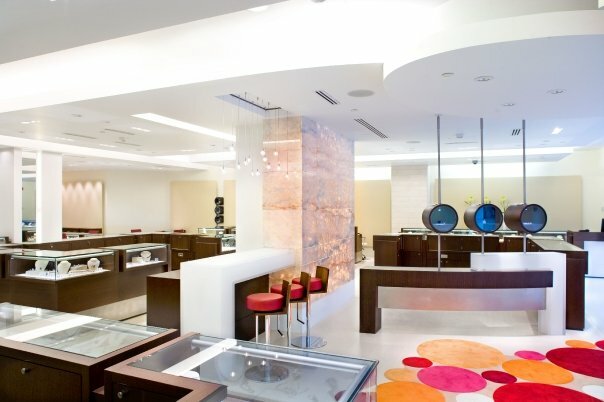 One such hot spot, only challenged by NYC and LA for overall customer base (specific to fine bridal jewelry purchases), is the greater Washington DC area. It has long seemed that DC has more than its fair share of both hip, upbeat young couples and middle-aged power couples, looking to tie the knot in style. Combine that with the convenience of having one of the country’s finest retail jewelry stores at their doorstep and you’ve got all the makings for a wonderful bridal jewelry market! For years Etienne has cultivated his close personal relationship with I. Gorman Jewelers in downtown Washington DC. I. Gorman’s offers an ideal combination of excellent designer jewelry and exceptional customer service, that makes buying the perfect ring so easy for customers of all ages and budgets. One such I. Gorman event that gives brides and grooms “to be” the perfect chance to find the ring that’s just right for them is the Ultimate Ring Event (as covered recently in this blog). It was at this year’s Ultimate Ring Event that Etienne first meet one of our favorite new bridal industry peers, Ebony Sparks. Ebony owns and runs a great event planning company, called Sparkling Events & Designs, LLC, catering to the Washington DC area, which specializes in weddings, amongst other types of gatherings and celebrations. Ebony works hard to stay on top of all the newest trends secrets of bridal industry, so naturally she is in high favor of I. Gorman Jewelers and made sure to check out the Ultimate Ring Event as well as cover it in her Sparkle Spot blog. Getting to the point, I. Gorman introduced Ebony to the fabulous colored diamond bridal jewelry of Etienne Perret and she immediately fell in love with his designs! Since then she has been well enough inspired to post an article about Etienne’s wonderful new Gem Ceramic bridal collection here on her Sparkle Spot Blog. Thank you Ebony! We appreciate your support and look forward to working together to satisfy young couples in the DC area for years to come!